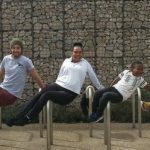 Free Your Instinct is a young and dynamic charity that helps people with mental health support needs through the delivery of specialist Parkour classes by qualified and experienced coaches. Free Your Instinct started in 2015. 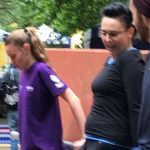 The Charity was founded by Charlotte Blake, a former exercise specialist for NHS Mental Health Services, Charley Hobson-Merrett, a former NHS accountant and Jacob Peregrine-Wheller, a ParkourUK qualified coach with a background working with participants with emotional and behavioural difficulties. 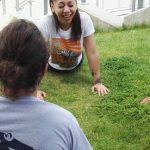 Since 2015 Free Your Instinct has established itself as a pioneer of using Parkour to help people with mental health support needs and operates in London and Bristol with plans to expand into further areas.